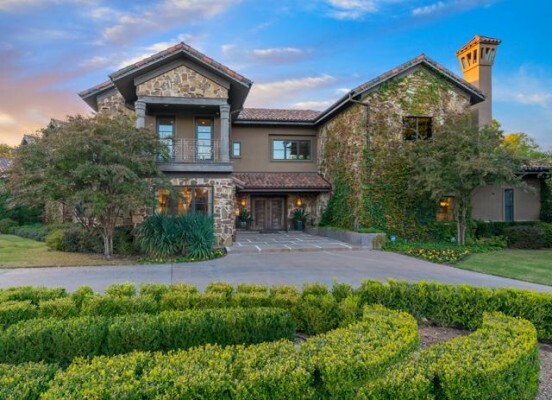 What didn’t we love about 2006 Brazos, Sean Payton’s beautiful and opulent Vaquero mansion that hit the market in January of 2014. This incredible home really has it all, from a disco with a lighted dancefloor that you wouldn’t believe, a luxurious garage, and a master suite you’d never have to leave. Five bedrooms, four full baths, two half baths, an epic pool and patio with a luxurious loggia — you won’t miss a thing with this home. It was listed for almost $3.5 million in January. Word comes that Sean Hannity is pulling the trigger on his promise to New York Gov. Andrew Cuomo and leaving the state. “I can’t wait to get out of here. I really can’t,’’ Hannity said, adding: “I don’t want to pay their 10 percent state tax anymore. I live in the second-highest property-taxed county in the entire country in Nassau County. I can’t wait to sell my house to somebody who wants it. I can’t wait to pay no state income tax down in Florida or Texas,” Hannity said. 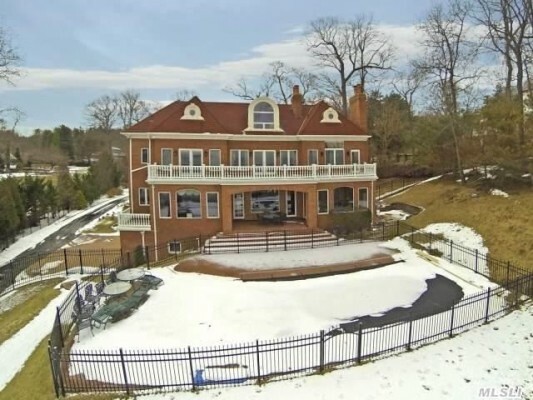 According to a piece by Zillow reposted by Forbes, Hannity has listed his “gold coast” Long Island home for $3.6 million. 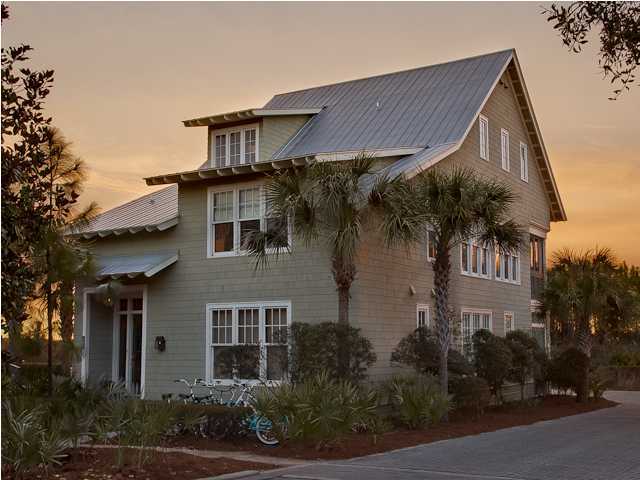 The 8,000-square-foot beachfront home built in 2001 has four bedrooms, five and a half baths, and sits on 2 acres. That’s only one of the two homes he owns on Long Island. Perhaps Hannity will take a cue from another conservative talk radio host who has moved to the Lone Star State: Glenn Beck. Beck, who has built his own compound in Las Colinas to produce his media empire, lives in a posh, spacious crib in the tres tony Vaquero. 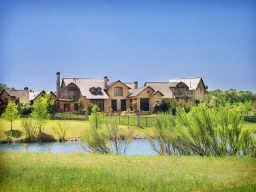 So, if Sean Hannity follows Glenn Beck’s lead, where would Hannity find his new Texas home? 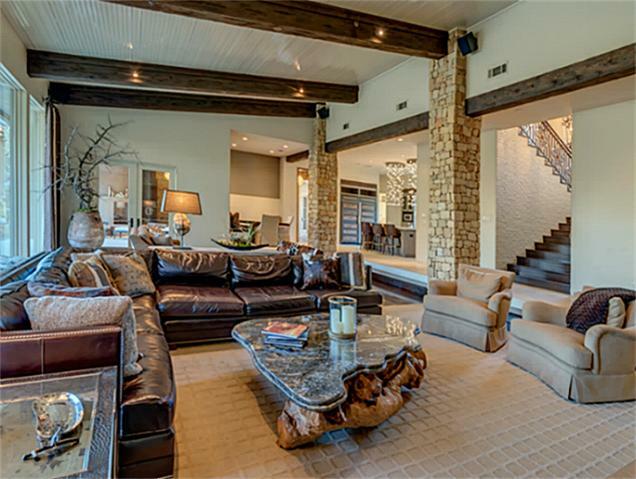 Of course, there’s always Sean Payton’s Vaquero estate at 2006 Brazos, which comes with a basement-level disco. It has plenty of room and he and Beck could be neighbors! Then again, maybe Hannity wants something more like the thoughtfully constructed Casa Santuario, which hits the auction block today? Perhaps he’s looking for something with history, like Robert Edsel’s incredible Bellosguardo? Or maybe something more remote and opulent, such as Champ d’Or? Where do you think Hannity will move to? We are sure sorry that the New Orleans Saints won’t be slugging it out at the Superbowl in (freezing!) New York this year. 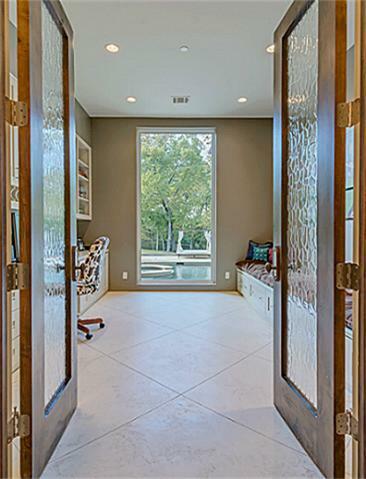 But mark my word, buyers will be slugging it out to own the Westlake, Texas home of their coach, Sean Payton, and his estranged wife, Beth. 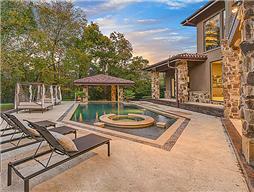 5006 Brazos just hit the market for an amazing $3,450,000. That is really not all that much for the stunning, huge, LOADED, estate nestled in the chi chi Vaquero Golf Club, on a Cul-du-sac lot with enormous trees. The home sports a more contemporary flare than most of the homes in the seriously gated, private community, with large windows, expansive views and something every parent of teenagers needs: a discotheque! 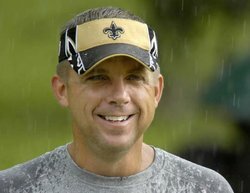 You may recall… back in February 2011 — Sean Payton got everyone all flustered thinking he was maybe trying to get closer to Jerry Jones and the Dallas Cowboys by moving to Vaquero Club in Westake. 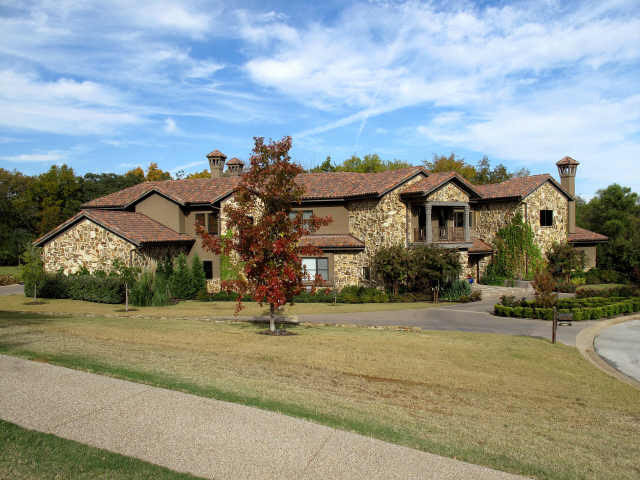 Vaquero is the number one home to many PGA golfers, current and former Texas Rangers players and other celebrities and players. 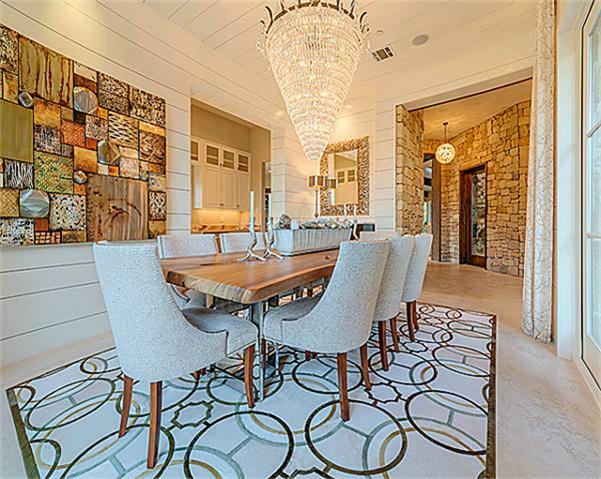 Payton, his wife Beth, and kiddos first hunkered down in the 8,554 square foot house owned by former Texas Rangers and current New York Yankees first baseman Mark Teixeira. Come early January, 2012, Sean and his wife bought 5006 Brazos. 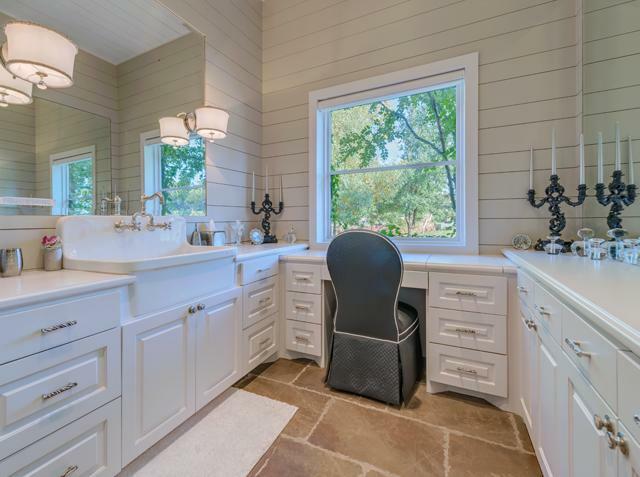 Smart move as this house had so many goodies, and what it didn’t have they added, from the private disco to the massive fireplace in the master bath, to the ladies’ vanity station with farmhouse sink that puts you in command central for grooming. 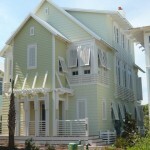 No offense to NOLA, but you would not find a house like this in Louisiana. No way Jose. 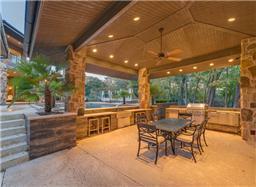 Check out this slide show for detailed photos from the home’s last listing. But now, Sean and Beth are calling it quits. And 5006 Brazos Court, their dream house, is about to become someone else’s dream. 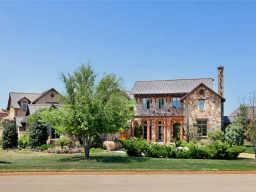 The home is nestled into a cozy Vaquero cul de sac overlooking a pond. The kids can go fish whenever. The home has almost 7800 square feet. If you love those big, sprawling Farmer’s sinks, you have found your nirvana. Every single bathroom in this house has Farmer’s sinks that you usually only see in kitchens. 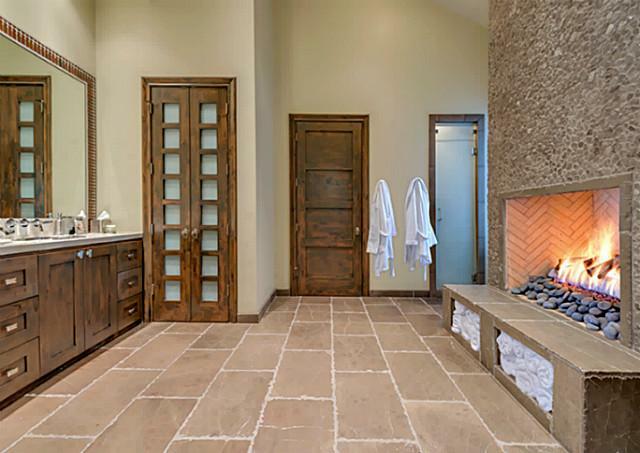 Take note of the Master bath in that slide show: most gorgeous tile ever plus steam shower and a romantic rock fireplace. This home is loaded with interesting textures in every single room. 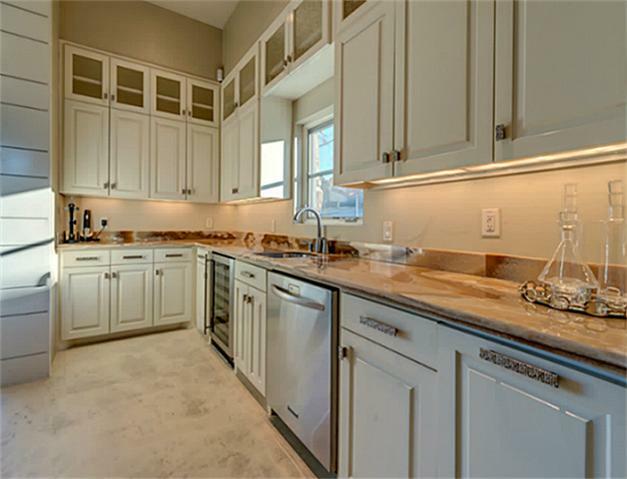 Built in 2006, the home has four bedrooms, four full bathrooms, two half baths, and nearly 7,800 square feet of living space. 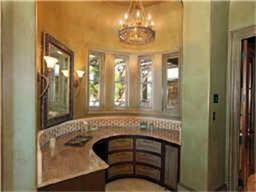 There are stained concrete floors and walls, as well as a heavy use of wood paneling, marble and stone. Let me tell you: no expense was spared in the amenity department when this home was built. 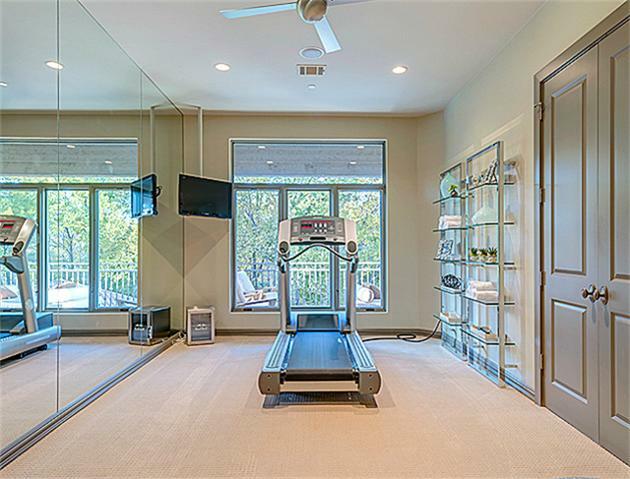 The place comes with a to-die for gourmet kitchen, a media room, an exercise room and a study. Biggest butler’s pantry I have seen. There is a second game room upstairs, with the now-famous disco off to the side. And when we say disco, we mean disco: Payton’s in-house game room, which goes full-on discotheque has a lighted dance floor, laser lights, fog machine and a full wet bar. Outside, Coach Payton’s pad is pure summer time party fun headquarters: there’s an outdoor kitchen, a fire pit and a huge saltwater pool with a spa. Behind the pool is a full cabana, recessed into the terrain so it’s a swim-up bar. 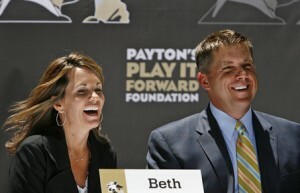 Many expected the home to hit the market in 2012 after Payton filed for divorce from his wife of 20 years. However, Beth later filed a counter-petition for divorce that allowed her to designate the Westlake home as the primary residence of the couple’s children. Payton was an assistant coach for the Dallas Cowboys from 2003-05, where he must have developed his great taste in real estate. 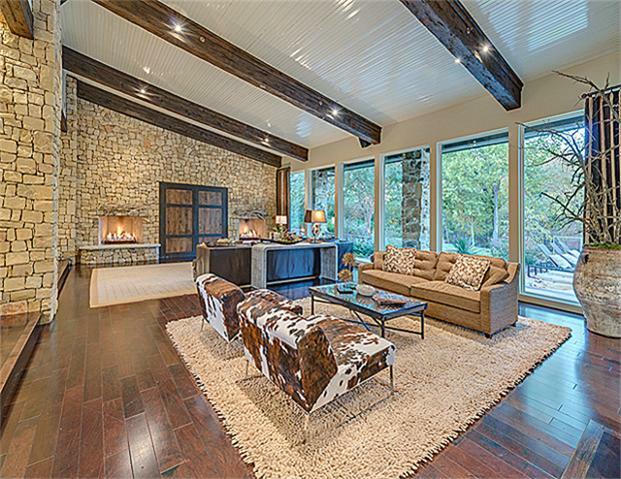 This is one of my favorite homes in North Texas, and I am totally stealing that master bath fireplace idea. Talk about warm towels! Also loving everything in their son’s room, from the footballs to the playing field rug boasting loudly, SAINTS! That’s a boys’ dream room, whether he’s 9 or 49! 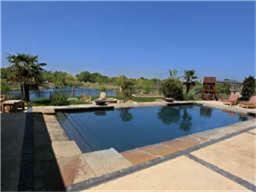 Listing agent is Vanessa Van Trease of Chateau Realty. So. Sean’ s Going to be Spending More Time in Texas Maybe? Maybe Take Dance Lessons in the Disco? National Football League Commissioner Roger Goodell has sentenced the New Orleans Saints with a serious series of fines and penalties, and all but sent their coach, Texas resident Sean Payton, to Siberia. Which mean, might we be seeing more of him in the Lone Star State? Maybe time for dancing lessons in that disco in his new home? Sean Payton and fam are now officially imbedded in the Lone Star State and you know what that means: they are now card-carrying Texans! 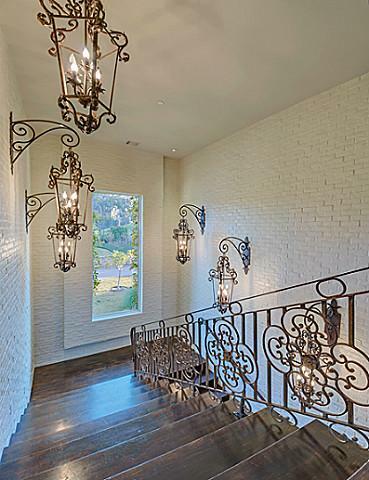 In early January, Sean and his wife bought a stunning 7,785 square foot home in a delicious part of Vaquero that is honestly one of the most beautiful homes I’ve seen out there, maybe anywhere. I mean, no offense NOLA, but you would not find a house like this in Louisiana. No way Jose. PLEASE check out this slide show for detailed photos. 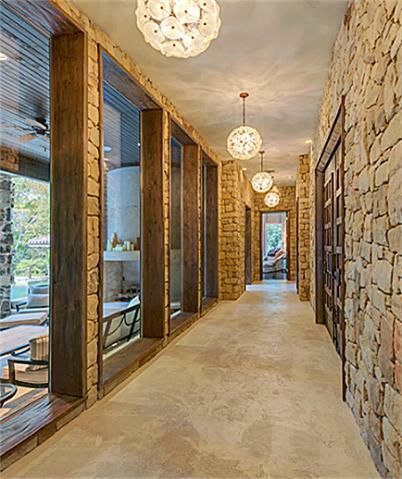 The home has stained concrete floors as well as wood, marble and stone. 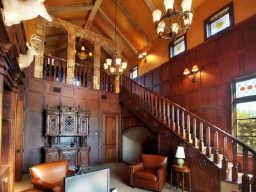 The foyer has stacked stone walls and a 100 year old giant dark wood antique door, it’s like being in a rock church vestibule. There are five bedrooms, four and a half baths — guess they may need to add a few more according to my latest research — and three living areas. The home is also a Poster Child for green energy efficiency: That super duper insulated SIP foam construction that whittles utility bills to dollars a month even in August, tankless water heaters, thermo windows and highest SEER-rated utilities. And oh my the extras: outdoor kitchen, loggia, fire-pit, salt-water pool, play pool, media room, exercise room, study, and game room with that fabulous discotheque for the kids or maybe, adults? 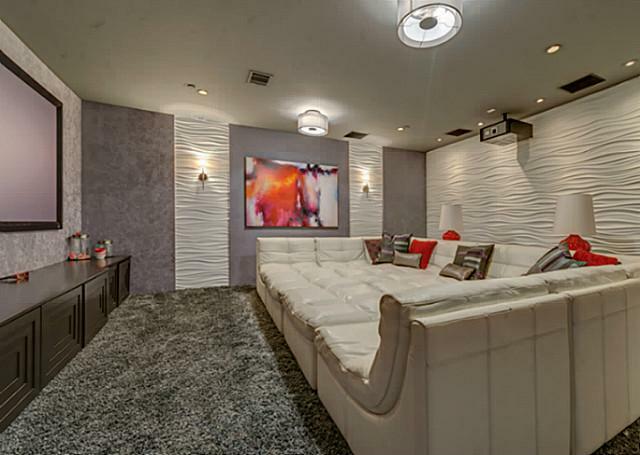 It has a lighted floor, mirrored ball, laser lights, a fog machine and probably a Bose sound system — not sure on that, but whatever brand it’s a killer that will make that game room rock like Carnegie Hall. I’m a little confused over pricing. 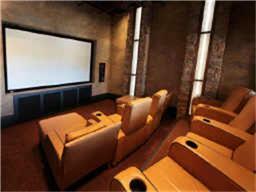 The original list price was $3.2 million, actually $3,195,000, but then it appears to have crept up to $3,450,000. Unusual in this market for a home to INCREASE it’s price after being on the market for a year. Z sale? Anyhoo, glad to welcome the Paytons to Texas. 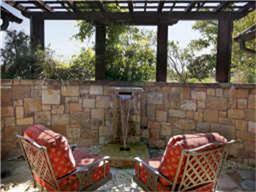 I hear they love living in Vaquero and tell friends it’s the most perfect place on the face of the earth. As I told you yesterday, they had been leasing Mark Teixeira’s house but did not renew the lease. 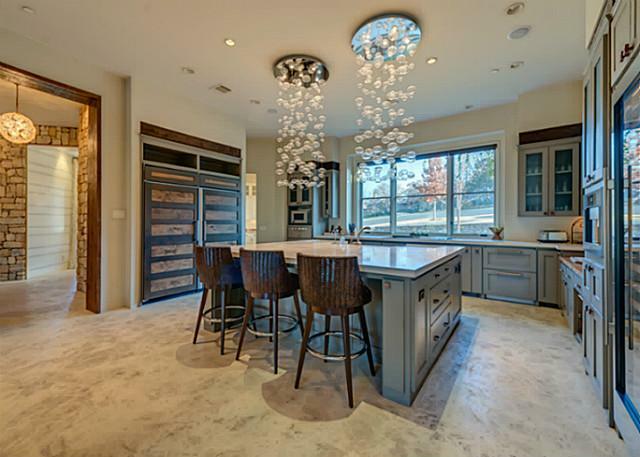 No matter what the press has said about Mr. Payton’s coaching skills or style, this wipes the slate clean: he’s got great taste in homes and real estate. In my eyes, he’s a god!